This is Year 113 of the U.S. government’s war on wildfire. Savvy foresters realized as early as the 1960s that they would lose, and it was better to treat fire as an essential part of the ecosystem instead of a combat opponent. Officially, the federal government has known this for decades. However, the U.S. Forest Service – the country’s lead agency for wildland fires – almost always fails to achieve its own goal to let fires burn whenever possible. Each year, more homes are built in the path of fire, and the imperative to put out fires quickly grows. And with each year of fire suppression, the buildup of fuels in the forests gets more dangerous. The country has gotten itself into a fire trap. During the next five days, The Durango Herald will look at why the country continues to pursue a self-defeating practice of blanket fire suppression, and the tentative efforts of a few foresters and communities to find a way out of the trap. The Forest Service’s reaction to the past two fire years has left even seasoned observers wondering what its official position is. “When you figure out what their fire policy is, you should call them up and tell them, because they don’t have a clue. Their policy is one thing one year and one thing the next,” said John Maclean, author of four books about wildland firefighter fatalities. 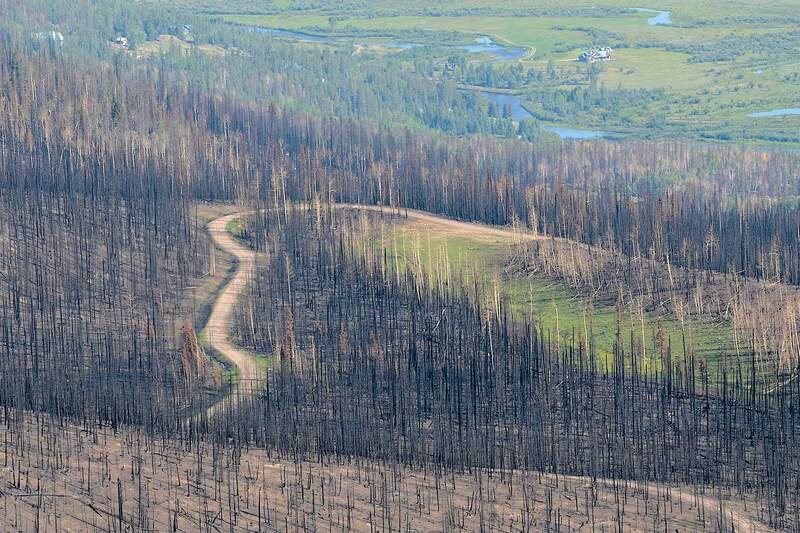 Senior officials in the Forest Service are well aware that America’s forested lands need more fire and less interference from human settlers in the natural fire cycle. The federal government started its war against wildfire after the Big Burn of 1910, a fire that killed dozens and torched an incredible 3 million acres in Washington, Idaho and Montana. The newly created U.S. Forest Service sought to eliminate fire from the ecosystem, and for years, it operated under a “10 a.m. policy” – all fires would be controlled by 10 o’clock the morning after they were reported. An advertising campaign featuring Smokey Bear began in the 1940s. A real-life Smokey Bear, a cub found with paws burned after a New Mexico forest fire in 1950, provided a friendly and heroic face in the fight against fire. The anti-fire policy went unquestioned until 1963, when Starker Leopold, son of naturalist Aldo Leopold, led a report for the National Park Service that called for fire to be reintroduced onto the landscape. Foresters took heed of the report and scores of others that followed on the virtues of fire. But change came slowly. In 1995, a year after 14 firefighters perished on the South Canyon Fire just outside Glenwood Springs, the Forest Service took a hard look at itself and came up with the Federal Wildland Fire Management Policy and Program Review. Eighteen years later, the report with the dry title reads like a prophecy of Nostradamus. The time of reckoning predicted in the 1995 report has arrived. Six of the 10 biggest fire years of the past century, in terms of acreage burned, have happened in the past decade. Nine of the 10 most expensive seasons for fire suppression costs have happened since 2000. And from 2000 to early this summer, 38,601 homes burned in wildfires. That’s equivalent to every house in the city of Grand Junction burning down in the last dozen years. Wildfires are burning homes at a rate three times as fast as they did in the 1990s, according to the International Code Council. The most disturbing data, though, comes from the people on the front lines of fires. It used to be that when a fire projected out spot fires a mile away from the fire line, firefighters were amazed. Now, Dallas routinely sees spot fires a mile away. 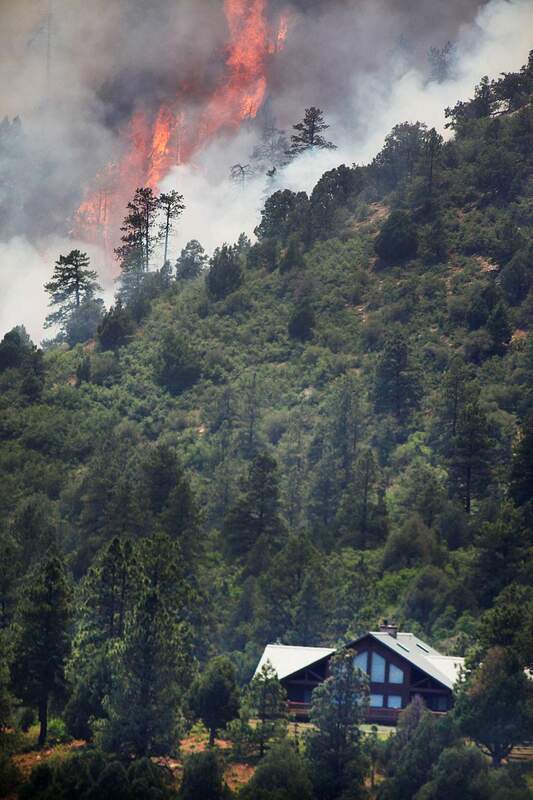 But even he was stunned by the blowup of this year’s West Fork Fire in Rio Grande National Forest. “They got spots four miles out. Four. That’s pretty significant,” said Dallas, who is also supervisor of Rio Grande forest. On a fire in Florida, Dallas ordered three heavy air tankers from a dispatcher, saying a fire was about to jump the six-lane Interstate 95. “I said, ‘I’m telling you, it’s going to cross the freeway.’ She said it’s never crossed the freeway before. In about 30 seconds, it blew right across the freeway, straight to the ocean, right to Daytona Beach,” Dallas said. Although the Forest Service is perceived to have a “let it burn” policy – a phrase Forest Service officers hate – in reality, the agency is still putting out fires at a pace that would earn a tip of the hat from Smokey Bear. “We’re successful nationwide 98 to 99 percent of the time with the initial attack. That’s what I don’t think most people realize,” Dallas said. Inside the government, however, that record has been a cause for concern. The Department of Agriculture’s inspector general took the Forest Service to task in 2006 for putting out 98 percent of the fires it finds, despite the benefits of letting them burn. The Forest Service changed its policies in 2009 to allow more flexibility to fire managers to let parts of fires burn naturally. Harbour, the Forest Service’s fire chief, said the change is helping his agency make better use of fire. “I’d say we do it very well,” he said. But with the 2009 policy change, the Forest Service stopped tracking the number of fires it let burn for resource benefits, making it impossible to track progress toward the inspector general’s goals. 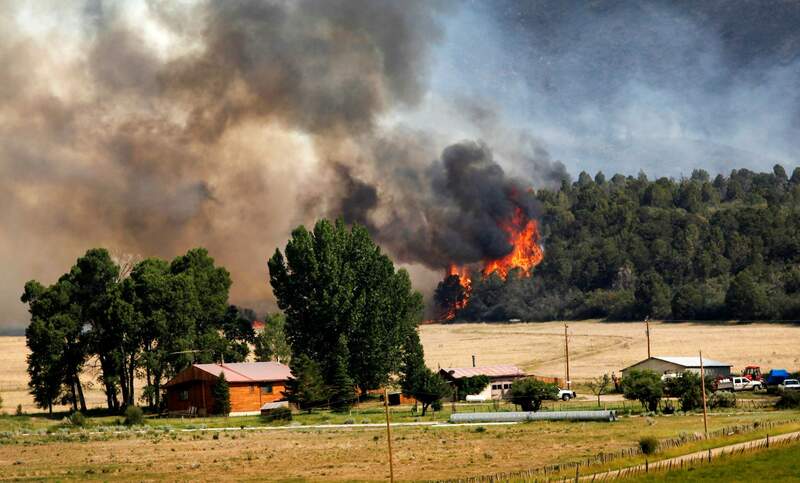 However, The Durango Herald reviewed 100 randomly selected incident reports from large fires across the nation from 2009 to 2012 and found few changes. Just five of the incident reports made mention of letting a fire burn for resource benefits, and the acreage burned was less than 1 percent of the total from the sample of 100. An additional 23 fires, comprising 21 percent of the acreage burned, were managed under a “monitor, confine and contain” strategy or for point protection, often because of difficult terrain. The incident reports include fires fought by several federal agencies. The Forest Service’s rangers and supervisors often find that community and political pressure to put fires out is a stronger influence than the agency’s official policy to let them burn. “There’s definitely not a huge level of support out there for doing it. There’s great support within the scientific community,” said Mark Stiles, supervisor of the San Juan National Forest. 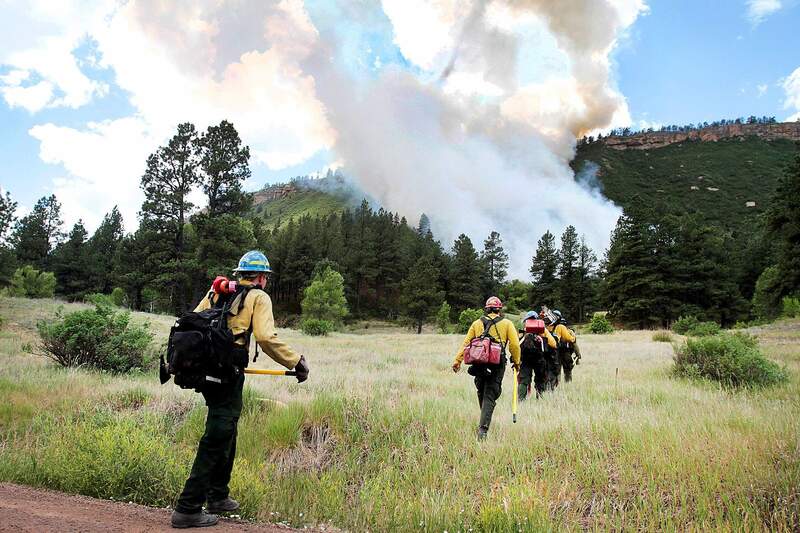 Durango-area foresters tried the “let it burn” approach on the 2003 Bear Creek Fire, just after the 2002 Missionary Ridge burn that traumatized the Vallecito community. The next day’s report showed the team was managing relations with Washington as much as it was managing a fire. “The political situation has escalated to the national level and the team is writing briefing papers for the Chief of the U.S. Forest Service,” the report reads. As blazes get bigger, the price is paid by two distinct groups. First, federal taxpayers are shelling out $3 billion a year to fight fires, a cost that has tripled since the 1990s. The human toll, though, is borne by the country’s small community of firefighters. Trembath, the veteran firefighter, thinks his trade is safer now than before the 1994 Glenwood Springs tragedy. But still, the country suffered its worst loss of wildland firefighters since 1949 this June, when 19 of the 20 men on the Granite Mountain Hotshots crew died on a fire in Arizona. “We didn’t think it could happen again. It did,” Trembath said. Maclean, the author who has written about what went wrong at Glenwood Springs and in three other fatal fires, is fed up. Writing in High Country News this June, he called for wildland firefighters to stand down from the most dangerous fires and speak up about the dangers they are asked to face. 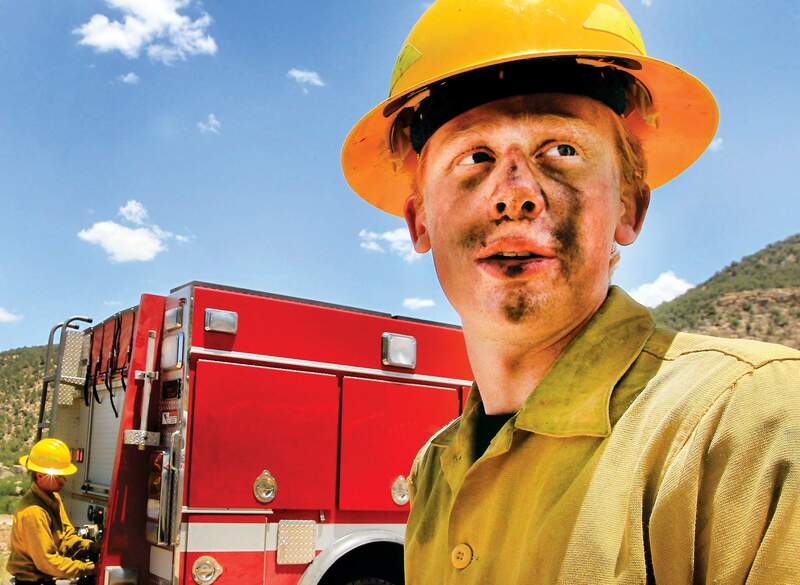 Jordan Barnett of Durango Fire & Rescue Authority fought the State Line Fire west of U.S. Highway 550 last year. Across the country, firefighters say they are seeing more extreme fire behavior. 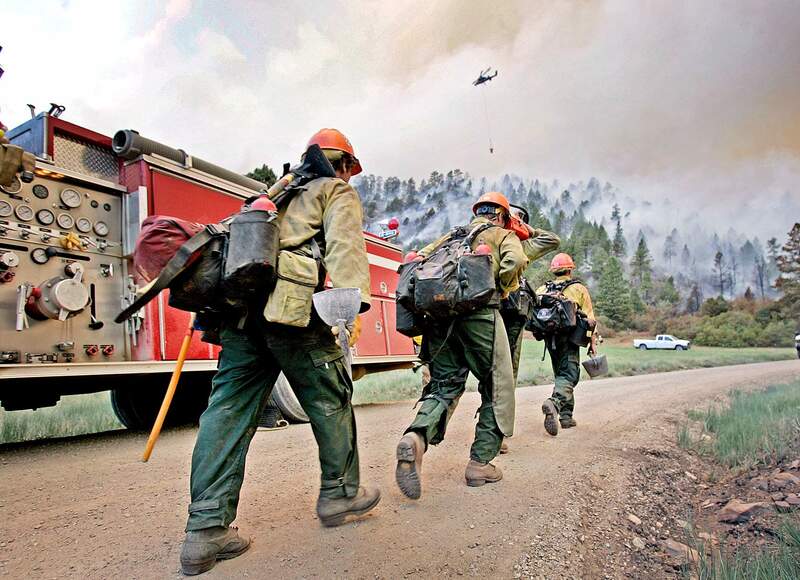 Firefighters march toward the Lightner Creek Fire in 2012, one of more than 60,000 blazes the government tackles each year. 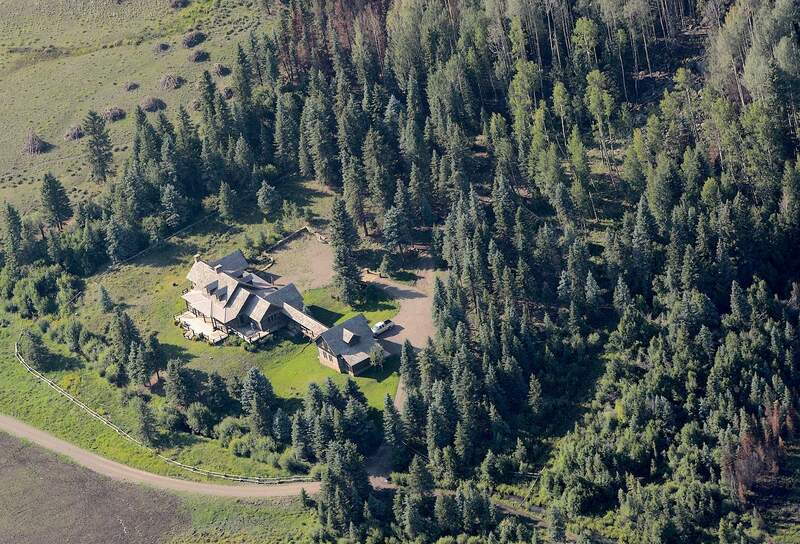 STEVE LEWIS/Durango Herald - 08/16/13 - A house saved from the destruction of the Papoose Fire southwest of Creede. 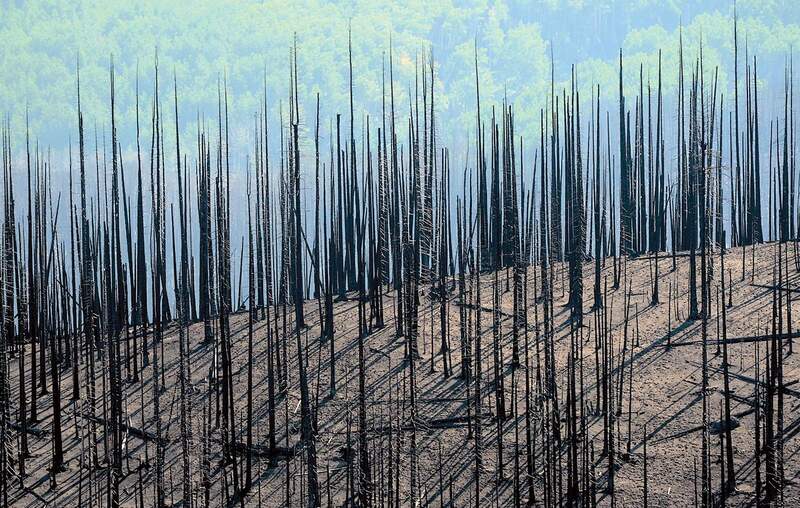 A blackened forest points to the power of the Papoose Fire, one of three blazes that made up the 170-square-mile West Fork Complex in June. The fire fit into a national trend toward larger and larger wildfires. The Papoose Fire, 15 miles southwest of Creede, scorched the forest but not homes near the river, visible at the top of the photo. 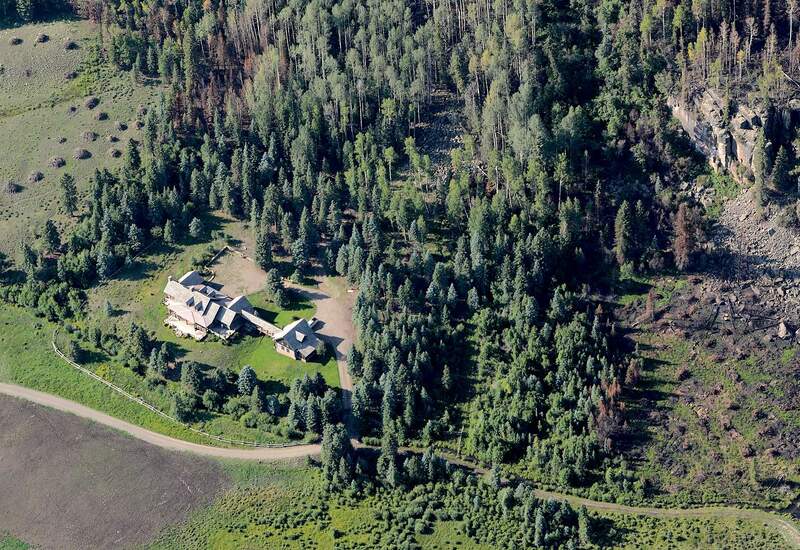 Firefighters saved this mansion southwest of Creede from the Papoose Fire in June, halting the flames on the slope above the home. Fire managers say they spent two-thirds of their effort in protecting homes, while letting the backcountry burn. The blaze cost $33 million to fight. 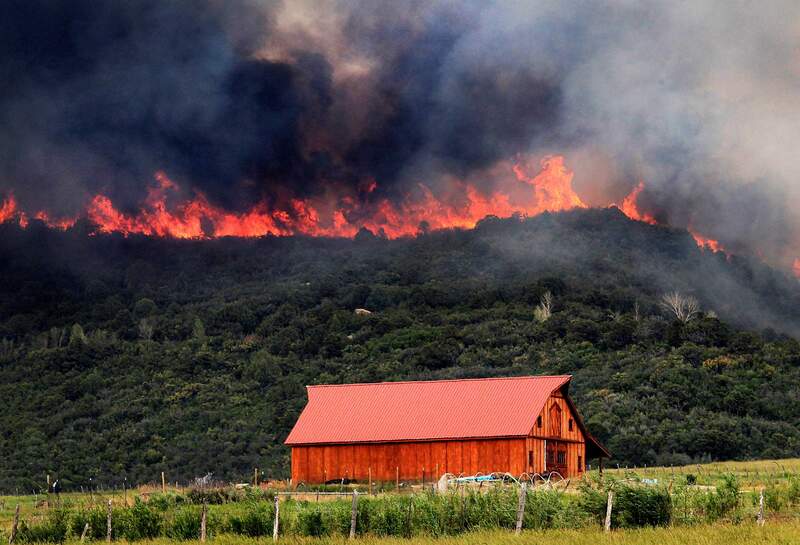 Flames tower over a barn near Mancos during the 2012 Weber Fire. Thousands of people in Southwest Colorado, and more than a million statewide, live in wildfire-prone landscapes.